This group of papyri comes from the cartonnage covering human mummies. These texts date from the third and second centuries BCE. As in the case of the papyri from the crocodile mummies, we find, among other things, the remains of various official papers. Quite a considerable number of texts can be traced back to Oxyrhyncha, a small village to the north of Tebtunis. Among these are texts from village officials, such as the komogrammateus (village scribe) and the phylakes (guards). manner. If this is done, I shall have received succour. Farewell. 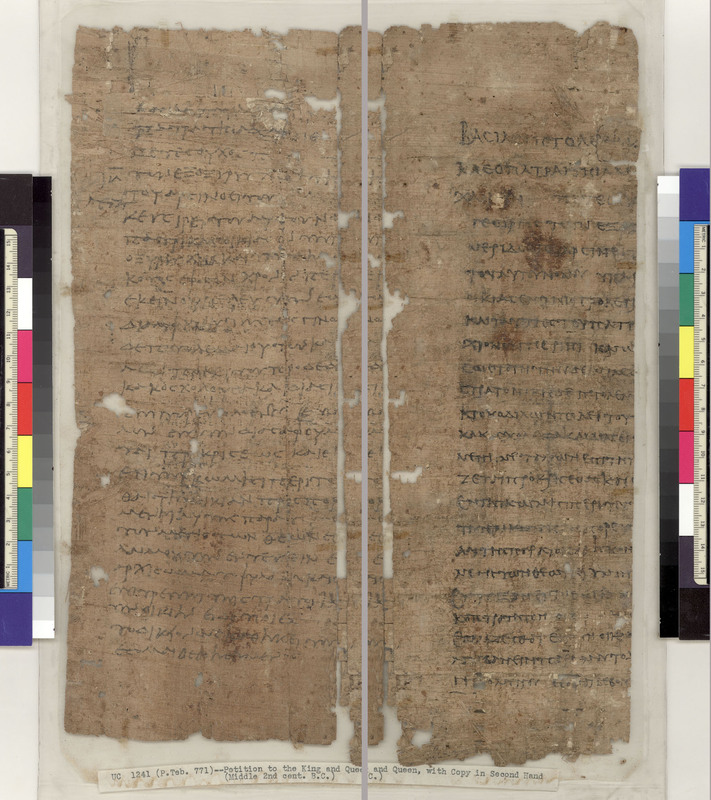 In addition to the Greek texts described above, there are large numbers of demotic papyri from the cartonnage of human mummies, including several official registers of tax payments. These papyri therefore come from one or more official archives, perhaps the same archives as the Greek papyri. We hypothesize this because early in the Ptolemaic period, during the third and early second centuries BCE, it was quite common for officials to keep administrative records in the Egyptian language rather than in Greek. Only later did Greek come to predominate as the administrative language.